After completing CSM - Certified ScrumMaster certification the journey of great ScrumMaster is just starting. 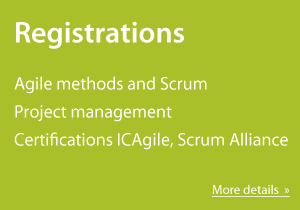 The A-CSM is the next education step which can help you to become The Great ScrumMaster. Join me during this my workshop and learn more about #ScrumMasterWay concept and my path to become the Great ScrumMaster. The workshop will take place in Prague on February 25-26, 2019 and will be facilitated in English. Register here. If you have any question feel free to contact me.